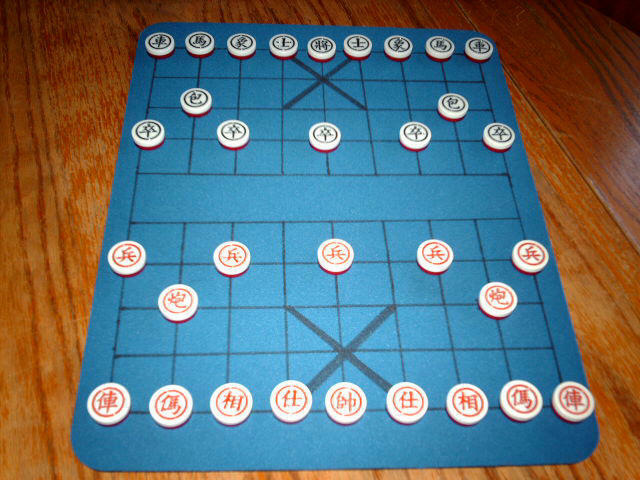 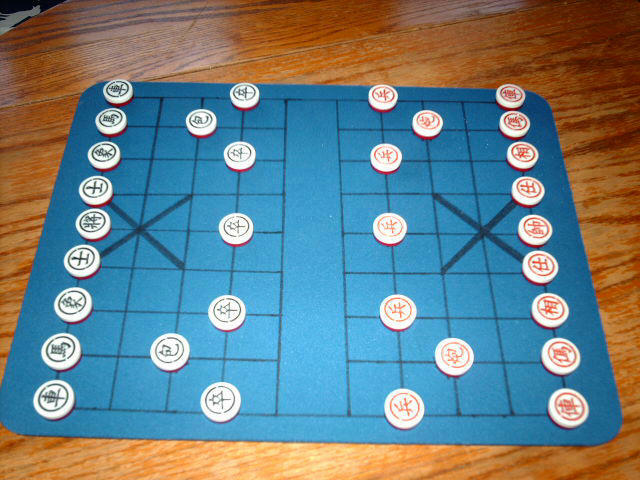 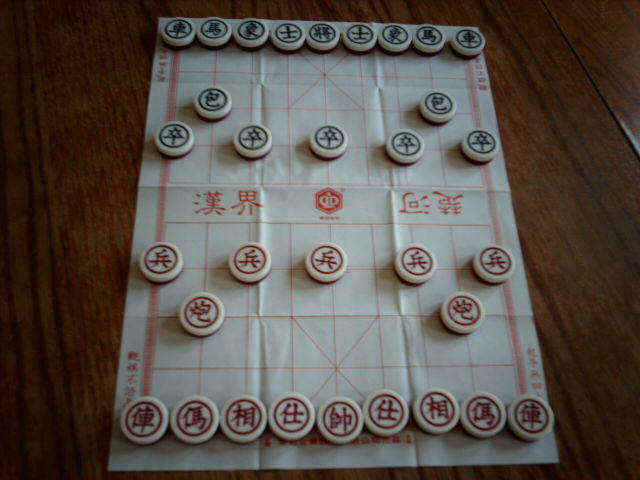 Here are some photographs of a Chinese Chess set I bought on ebay in 2006. 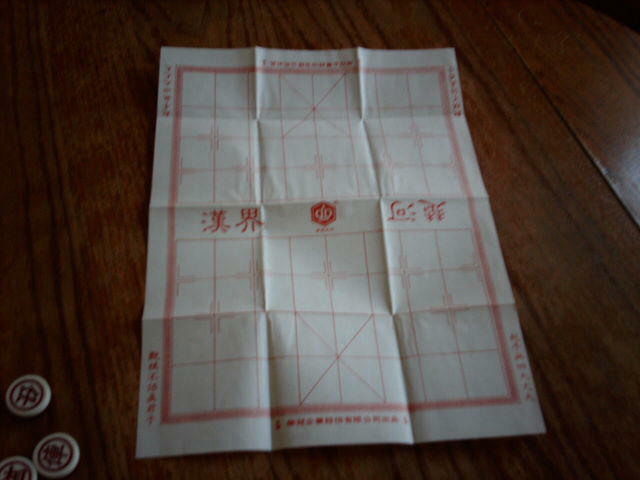 It came with a paper board that folds into the plastic box the pieces go in. 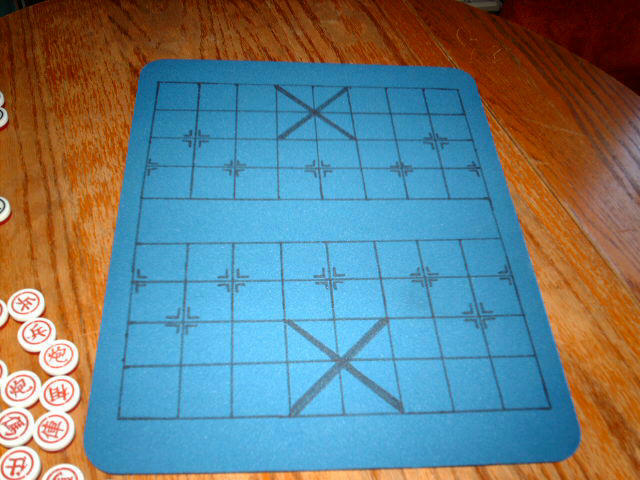 But I prefer to use the handdrawn board I made on a large blue mousepad. 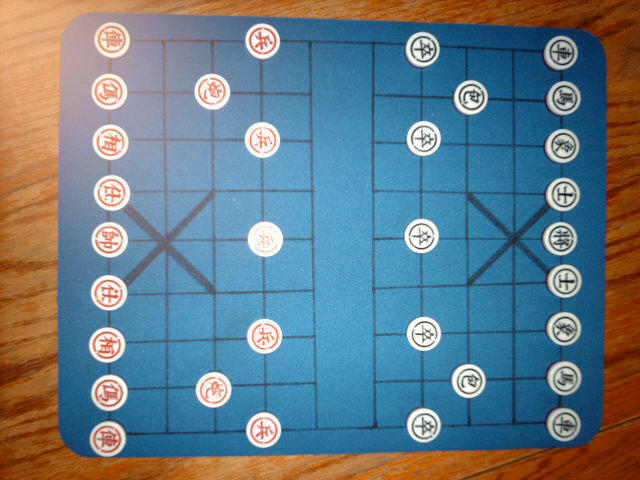 The pieces slide across it well, it stays flat and stable, and it provides more room for the pieces than the paper board does.